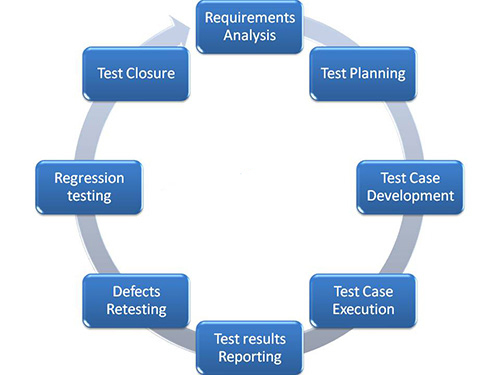 TTesting is a fundamental part of the Software Development Life Cycle and requires specialized skills and tight integration with development. Outsourced testing can be complex and difficult to manage with distributed teams that leave unorganized assets, inefficient processes and lack of visibility. Key Business Solutions's onshore software Testing Center of Excellence (TCoE) leverages industry best practices and leading test management tools to ensure effective management of test resources, testing projects, releases, requirements, test cases, scheduling, test execution, defects, documents, automation, collaboration, metrics and reporting. Our Testing-as-a-Service utility is the next generation in testing services where customers reap the benefits of a simplified pricing model without the management overhead. This service incorporates Key Business Solutions's testing processes, various vendor partnerships and our web based tools and frameworks to deliver an on-demand environment designed to dramatically reduce cost and manage spikes in test activity. Testing Tools and expertise for requirements management, defect tracking, automation, build and release management, etc. Test Processes that leverage decades of test experience and industry-validated processes in test planning, authoring, automating, scheduling, executing, reporting and management.